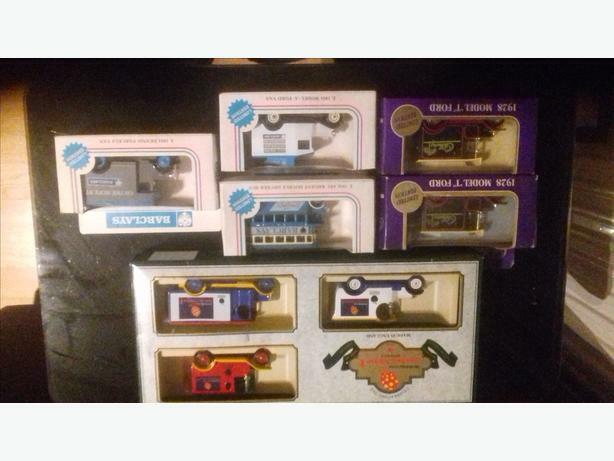 2 x cadbury truck( same), 3 x barclay advert vehicles(all different), and a set of 3 vehicles for save the children. 8 vehicles in total. all boxed.